Baked sweet potatoes on the barbecue is an easy, healthy side dish for a summer cookout! 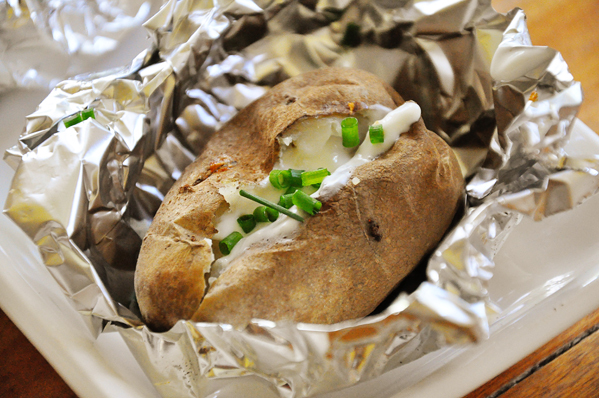 This is a foolproof method for perfect baked potatoes every time. One of my favourite things to make for a summer cookout are baked potatoes on the barbecue and these sweet potatoes are just the next logical step. I’ve been making baked potatoes for years in the oven, but I started making them on the barbecue back in 2011. (Side note, I can’t believe that post is from all the way back in 2011!). Recently I’ve shifted to making more baked sweet potatoes on the barbecue because they are just packed with nutrients. It’s so simple and you end up with a perfectly cooked, nutrient packed side dish (sweet potatoes are packed with vitamins). It’s kind of amazing, if I do say so myself. I like to top mine with a touch of sour cream (you could also use yogurt as a substitution), fresh chives from the garden and a touch of smoked paprika or chilli powder. 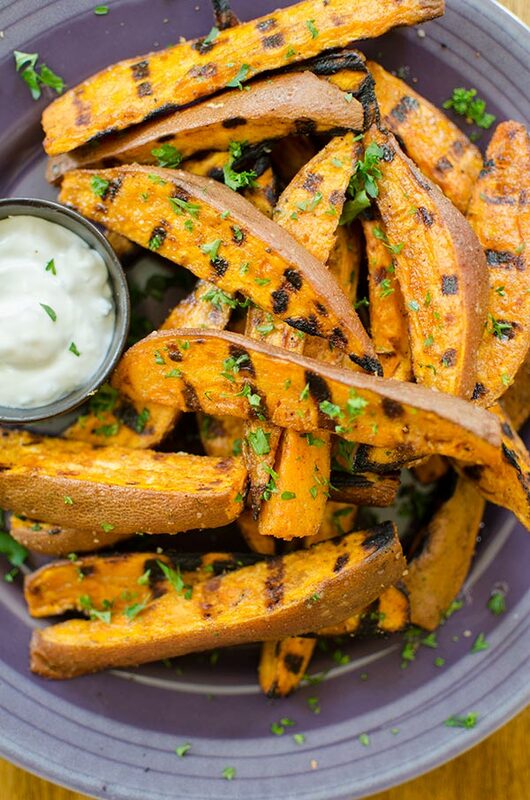 May I also suggest my grilled sweet potato wedges if you’d like to try some more sweet potatoes on the barbecue! I’ve really been soaking up the warm, sunny days and enjoying a barbecue (or two) pretty much every weekend. I don’t see this pattern changing anytime soon, there isn’t anything better to do in the summer, is there? Whether it’s chicken skewers, burgers or grilled vegetables I love spending time outside grilling up a storm. Plus, it’s just too hot to turn on the oven inside, so co complaints for every meal grilled. Now, I’m definitely not what I would consider to be a grill-master, but I have learned a few things about the grill over the years. That said, I do overcook pork and burn chicken on a regular basis (what can I say, I’m a work in progress) but this recipe for baked sweet potatoes is foolproof. You literally cannot mess it up. If you’re going to be heading to a potluck over the summer and you’re a little nervous about what to bring, I highly recommend this recipe. 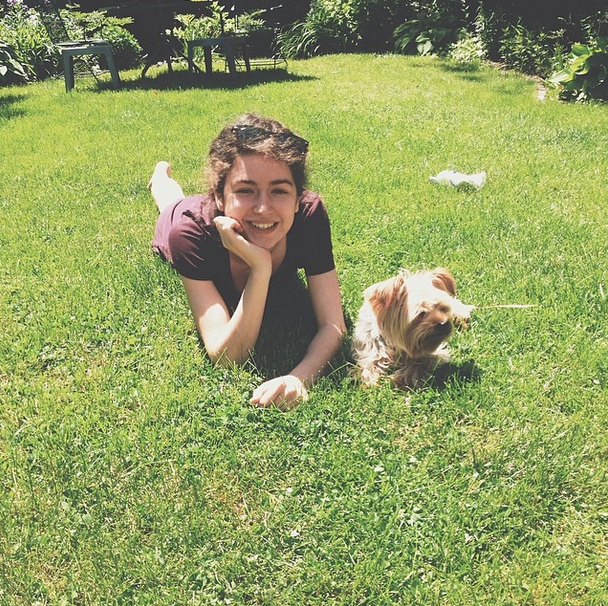 My dog Sophie and I outside over the weekend via Instagram. And don’t forget the toppings! I topped mine with some sour cream, chili powder, cumin and fresh chives from the garden. A touch of cilantro would also be a great addition. You could even go ahead and add some black beans, corn and other favourite taco elements and make this baked sweet potato into a meal. I love when a meal can be made entirely using one heat source, the oven in the winter and the grill in the summer. With these baked potatoes, you can put your side dish worries aside. The best part is, these can be prepped in advance, just wrap a few sweet potatoes in foil and bring them out to the campsite or up to the cottage. I find that figuring out dinner on the way up north after a full week of work can be a challenge, but having dishes that can be prepped in advance make it that much more simple. Try my regular baked potatoes on the bbq. I also like to make regular baked potatoes on the barbecue as well, that way you give people the option if for some reason they are a little crazy and don’t love sweet potatoes! Make baked sweet potatoes on the barbecue for a simple and healthy barbecue side dish. Baked sweet potatoes on the barbecue are the perfect, healthy side dish for your summer cookout! 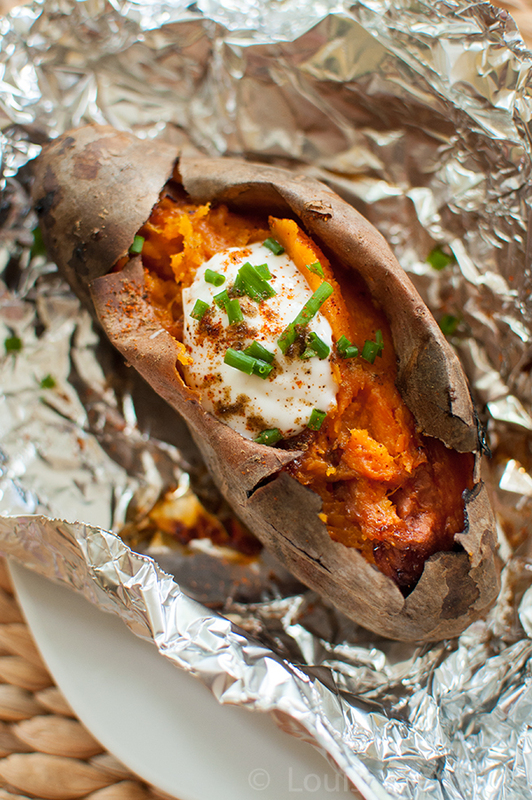 Tightly wrap sweet potatoes in tin foil. Place sweet potatoes on grill, close lid and cook for 40 minutes. Check doneness (I just squeeze with barbecue tongs). Depending on the size of your sweet potatoes they may need another 20-30 minutes. Continue cooking until fully cooked. Let me know you try making these baked sweet potatoes on the barbecue in the comments below. Thanks, Olivia. Such a great side dish! I have never done this before! These look incredible. I baked sweet potatoes in the oven a couple of days ago and I totally regretted it bc it heats up the house. Must try!!! Cute photo, by the way and gorgeous sweet potato photography! I want to dive right in! 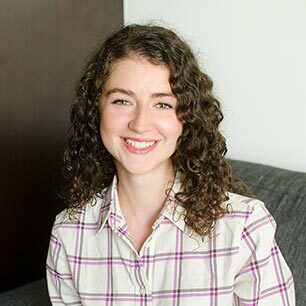 Thank you, Allison! It's such an easy way to cook them, I highly recommend it, especially if you're feeding a crowd. No fuss, just throw them on the BBQ! Great idea! I never thought to do sweet potatoes on the grill... Now I will. Have you ever tried maple & orange juice mixed into a sweet potato? Grill 'em all! Thanks Josh! That sounds delicious, I've never tried it, but I think I have to ASAP! Hi Ann Marie, it looks like I was having a problem with my Pinterest sharing tool, it should be working now. Thanks for your support!